Grain futures were mixed as corn and soybean found some gains on diminishing crop quality. Home » Commodities » Grain futures were mixed as corn and soybean found some gains on diminishing crop quality. 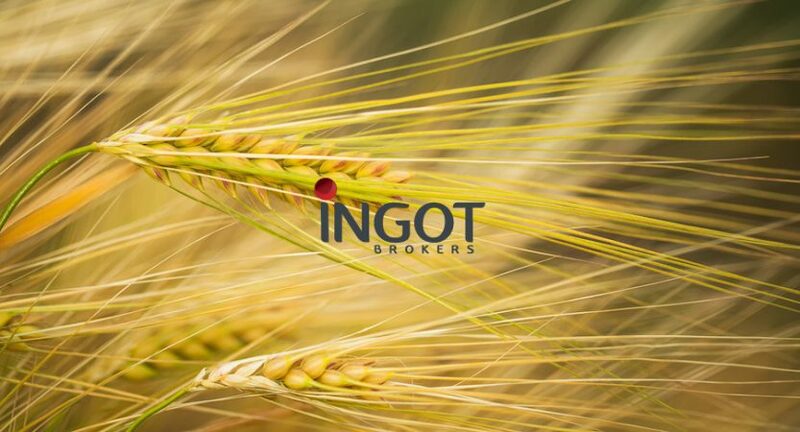 Grain commodity futures’ ended Monday’s session in mixed territories, as unfavorable round of export data pressured wheat prices, while corn and soybean found some gains on diminishing crop quality. On weather news, cooler-than-normal temperatures are expected in the central U.S. for the rest of the week into the weekend. Moreover, according to NOAA, the southern parts of the U.S. could see moderate rainfall through this week, with some light precipitation also possible in parts of the Plains And Corn Belt. On the energy front, WTI Oil prices rose on Monday’s session to close at 69.51 USD per barrel but currently trading lower at 69.13 USD per barrel at 6:00 GMT as supplies were expected to tighten once U.S. sanctions against Iran’s crude exports are implemented next month. Moreover, Brent Oil advanced on Monday to close at 80.04 USD a barrel but currently trading lower at 79.43 USD per barrel at 6:00 GMT. CBOT Wheat December futures traded lower on Monday’s trading session pressured by the latest USDA’s report. Wheat futures ended the session at 5.07-1/4 USD per bushel, and currently trading lower at 5.06-3/4 USD per bushel at 6:00 GMT. Regarding plantations news, USDA’s report showed that 72 percent of the Wheat crop is now planted which came lower than analysts expectations of 76 percent and up from 65 percent the week prior. In exports news, Wheat export inspections came at 14.1 million bushels last week, down moderately from last week’s total of 16.6 million bushels and in line with trade estimates, which ranged between 11.0 million to 18.4 million bushels. CBOT Corn December futures were up on Monday’s session. CBOT Corn futures ended the session at 3.69.5 USD per bushel supported by stable export data and currently trading at 3.69.25 USD at 6:00 GMT. In terms of harvesting news, USDA’s latest report showed that harvest for the week ending on the 21st of October is 49 percent complete slightly lower than analysts expectations which were 51 percent but higher than both the previous year and the five-year average which came at 37 and 47 percent respectively. Moreover, Corn crop condition was unchanged from the previous week as 68 percent was rated good to excellent slightly better than the previous year which showed 66 percent. CBOT Soybean November futures traded higher on Monday’s trading session supported by bullish expectations for the crop conditions to finish at 8.57 USD per bushel, while currently trading lower at 8.55 USD per bushel at 6:00 GMT. In harvesting news, USDA’s latest report showed that harvest for the week ending on the 21st of October is now 53 percent complete which is slightly higher than analysts expectations of 52 percent but significantly lower than the previous year and the five years average as both came at 67 and 69 percent respectively. Furthermore, soybean crop conditions were unchanged from the previous week with 66 percent rated good to excellent. Grain commodity futures’ ended Tuesday’s session moderately higher.